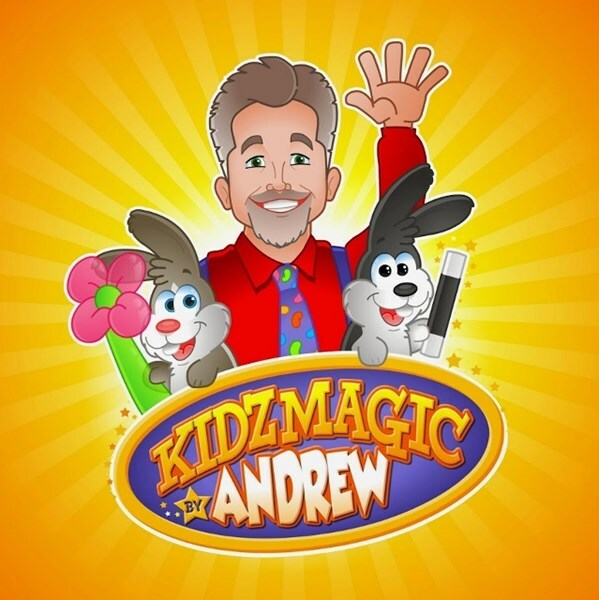 Andrew is an award winning magician with close to 40 years experience making kidz laugh. 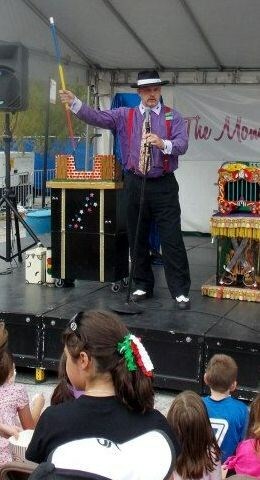 Andrew specializes in childrens entertainment and does over 500 shows every year for all venues. The kidzmagic birthday party package starts with an age appropriate comedy magic show. There are live rabbit's produced during the show the kidz may pet afterwards and take pictures with (CoCo Puffs, Milk Shake and Bubbles are tame and trained). There are special tricks just for the B-Day child to help with such as pouring sugar, flour and an egg into a special cake pan than magically making a B-Day doughnut appear. Most of the tricks require participation from helpers. After the show is over Balloon Animals are made for the kidz. You can also purchase just the magic show or just the balloon twisting alone.This is Andrew"s full time profession and he is fully insured. Kidzmagic is easily tailored to suit children of all ages. And if you think it's hard to impress older children? Don't worry Andrew will leave them seriously stunned and amazed. Andrew has performed at schools and libraries throughout the Midwest offering "just for fun" shows as well as performances with an educational twist (Reading Counts, Be a Buddy-Not a Bully, ie...). Performances of this popular show are available for K-5 (Elementary) and 6-8 (Middle School) audiences. The content of the show is always designed to appeal to the grade levels in attendence and the comedy and magic tricks are always appropriate for a school and library setting! The program last 45 minutes, and there is nothing special your school or library needs to provide...except, of course, the audience. Andrew is fully insured and offers "Additionally Insured" coverage at no extra cost. Get your little ghosts and goblins laughing and applauding with a magic show created especially to help celebrate Halloween at libraries, malls, and family events. The Halloween Magic Show is presented by Horrible Harry the Zombie Magician. The show is 45-minutes of cool Halloween magic tricks, hilarious comedy, and spooktacular audience participation. Trick-or-Treat safety message are highlighted during the show. To set the stage for the show, the magician brings a special backdrop and fun surprises for the audience. Even the youngest members of the family can enjoy this show, as there is nothing scary or inappropriate for young children in the performance. Horrible Harry the Zombie Magician has been seen at Botanic Gardens, Kane County Cougars, Brookfiels Zoo, North Shore Country Club, The Zombie Bike Ride, Lake Shore Country Club, Skokie Country Club, Oregon IL Harvest Festival, countless resturants, Boy Scout Events and Private Parties. Do you want your child to have the birthday party of the lifetime? Would you like more customers in your restaurant and more of them returning every week? Do you need a fun way to teach your students something so they will remember it? 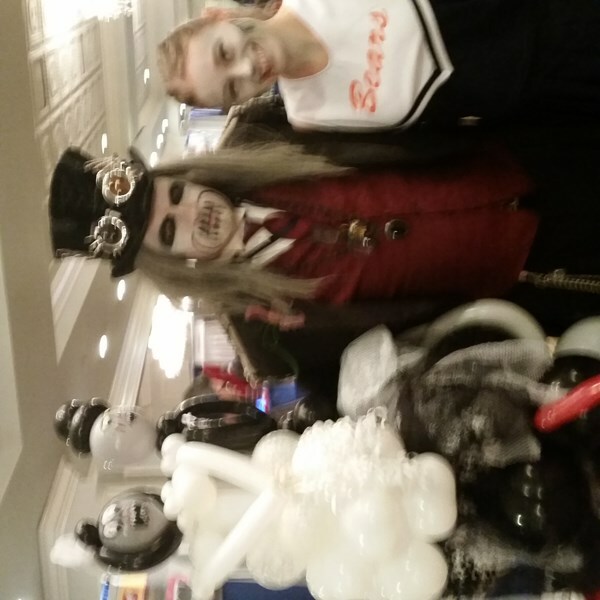 Discover why hundreds of people choose Andrew and his Balloons, Balloons, Balloons for their event. Balloon twisting looks like magic and takes skill like juggling. You'll laugh like you're at a comedy show. In the end, you get to take the product home with you. Andrew take the best of all types of entertainment and twist them into one fantastic performance. Please note Kidzmagic by Andrew will also travel to Hanover Park, Carol Stream, Streamwood, Wayne, Bloomingdale, Roselle, Schaumburg, Glendale Heights, Hoffman Estates, West Chicago, Medinah, South Elgin, Winfield, Elgin, Glen Ellyn, Itasca, Plato Center, St Charles, Addison, Elk Grove Village, Wheaton, Geneva, Palatine, Warrenville, Wood Dale, Lombard, Rolling Meadows, Batavia, Bensenville, Arlington Heights.